Colliers International Czech Republic today announces it is continuing its growth as part of its strategic plan to strengthen its business in the Czech Republic. Over November and December, the Colliers Czech Industrial team will grow by additional three professionals to better serve, advise and understand its clients’ needs and requirements. The industrial segment has been very active across Europe and CEE over the past few years. The Czech Republic specifically, given its great strategic geographical location and skilled and educated labor force, has become a major destination for logistic and 3PL operators and industrial and automotive manufacturers. Harry Bannatyne – Partner and Regional Director and Lucie Řezníčková – Associate, will join Colliers’s Industrial team November 1st and Miroslav Kotek – Director, will join December 1st. All three come with a vast and long-term experience and outstanding market knowledge having been active in the Czech market for a combined 23 years. “We are living and witnessing exciting times, the markets are strong, clients have confidence in the business environment and everyone has appetite for opportunities and growth. Industrial is another strategic and important business line we need to take care of and grow further. 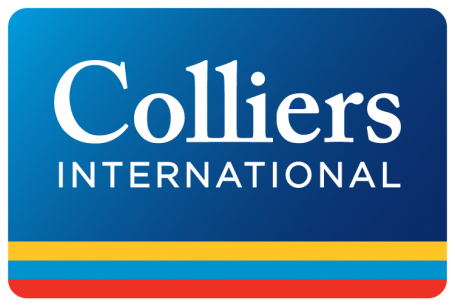 It is a valuable addition for Colliers Czech to be able to welcome Harry, Lucie and Miroslav on board. Harry and Miroslav each of them has spent more than a decade building up the relationships and industrial business in Czech, Slovakia and CEE during which they managed to develop excellent client relationships. Lucie is a great young talent who has shown tremendous enthusiasm and a great understanding of the needs of the clients. Them coming to Colliers and joining our existing strong team will boost our capabilities and capacities even further”, says Tewfik Sabongui, Managing Partner of Colliers International Czech Republic. “I am very excited to welcome our three new team members on board. We continue to execute on our plan to attract and retain high-quality, client focused professionals. We are far from finished but this latest addition is one of the cornerstones of our strategy” commented Luke Dawson, Regional Managing Director and Head of Capital Markets, CEE.